Saul ‘Canelo’ Alvarez and Gennady Golovkin have developed one of the most contentious rivalries in the sport today—so much, that even random social media discussion has somehow become headline news. The latest twist involving the best two middleweights in the world today once again revisits the drug testing subplot, with the validity of random testing provided somehow—and falsely—called into question. Both boxers were subject to random drug testing as administered by Voluntary Anti-Doping Agency (VADA)—a Las Vegas-based company founded by Dr. Margaret Goodman, a longtime advocate for the safety and health of boxers—surrounding their rematch this past September in Las Vegas. The same agency was involved in their first fight one year prior, with testing at the time serving as merely a footnote. The far greater focus was on their HBO Pay-Per-View headliner ending in a highly questionable split decision draw which many felt Golovkin deserved to win. The two camps came to terms for an agreed-upon rematch, which was due to take place this past May. However, the drug testing angle became the major focal point after Alvarez was discovered to have failed two VADA-conducted tests, both showing trace amounts of the banned substance Clenbuterol. Even while armed with the alibi of the substance being unknowingly digested through contaminated meat—an ongoing epidemic in Alvarez’ native Mexico—the ultimate decision rendered down by the Nevada State Athletic Commission was for the superstar athlete to serve a six-month suspension, while also issuing the reminder that all athletes are responsible for what goes into their bodies regardless of means of consumption. Alvarez took the punishment, also agreeing to enroll in year-round VADA testing which began in May. The decision served as the first step toward rescheduling his rematch with Golovkin, with the two sides going beyond their internally-imposed deadline in ultimately coming to terms to once again meet in September. With Alvarez already enrolled, VADA agreed to create a specific testing program for the rematch, with the September 15 fight night date serving as the closing period. 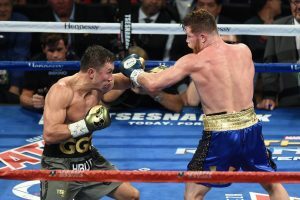 Alvarez won a majority decision in a fight where most ringside observers felt a draw or a close Golovkin victory was the more appropriate call, but the outcome not as contentious as was the case one year prior. Except to the Golovkin camp. 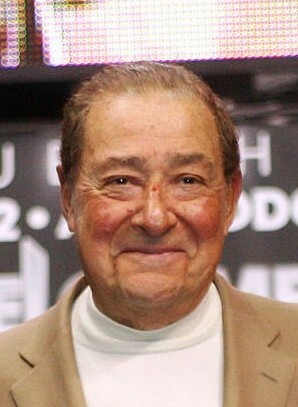 The loss ended his reign of 20 successful defenses (which includes five defenses of an “interim” title, which some historians dismiss), tying him with Bernard Hopkins, a stakeholder in Golden Boy Promotions, Alvarez’s promoter. The post-fight drug test which followed was also supposed to end the testing period as it pertained to this bout, although Alvarez was due to remain in the program as per his contracted agreement to year-round testing which runs through May 2019. This somehow became a topic of discussion two months after the fact. A random discussion on social media called to question whether or not Alvarez remained enrolled in VADA’s program without interruption. The inquiry came about after the agency welcomed to the program reigning secondary super middleweight titlist Rocky Fielding, who will face Alvarez on December 15 at Madison Square Garden in New York City. The conversation took a bizarre turn when Tom Loeffler—managing director of 360 Promotions and the driving force behind Golovkin’s career—offered a response suggesting that post-fight testing was yet another angle in the rivalry in which their side was dealt the short straw. Not only was it the wrong setting for such a pointed remark but was entirely incorrect in its implication. The eventually canceled test was initially scheduled by the Nevada State Athletic Commission, which has often contracted VADA for testing needs. However, the decision to test both fighters that far after the fight was not made by VADA, as Golovkin’s specific obligation to the program ended on fight night. “Tom Loeffler’s tweets regarding Golovkin/Alvarez testing are not correct,” Goodman told BoxingInsider.com via email in response to the conversation. “VADA tested both fighters many times leading up to their rematch and post-fight. Mr. Alvarez remains in VADA’s year-round testing program and subject to testing. The decision as well as Goodman’s take were both subsequently confirmed by Golovkin’s side while offering its best efforts to walk back such comments. “It was not VADA that cancelled the test, apparently it was the Commission,” Loeffler confirmed to BoxingInsider.com via text. “I didn’t mean to disparage VADA in any way; I’m a firm believer in what they do and that they are the best testing we have to try to prevent any banned substance use. Their testing is what showed the two positive tests for Canelo for Clenbuterol and that wouldn’t have shown up had we not started early testing with VADA. Golovkin remains on the hunt for a new platform to carry his next fight and beyond. The knockout artist from Kazakhstan was among the many boxers left without a network home after HBO—the premium cable giant whom has aired all but two of his bouts since his stateside debut in 2012—announced in September that it would no longer remain in the boxing business following their final forthcoming December 8 telecast (fittingly, presented by Loeffler’s 360 Promotions). Talks are ongoing with many top players, including the top brass at ESPN, Showtime and sports streaming service DAZN, the latter with whom Alvarez signed a record-breaking contract and on which he will debut in December. There stands a chance that their paths will once again cross. Hopefully by then, the storylines will remain limited to their in-ring rivalry and not news items that never should have been news to begin with. While the promotion is in full bloom for the forthcoming December 1 heavyweight title clash between Deontay Wilder and Tyson Fury, the seeds for random drug testing protocol haven’t even been planted. The clash of heavyweight titans—which will air live via Showtime Pay-Per-View from the Staples Center in Los Angeles, Calif.—has been at least seven weeks in the works, but those involved in the promotion have yet to file the necessary paperwork with Voluntary Anti-Doping Agency (VADA). The Nevada-based organization oversees all drug testing as part of the World Boxing Council’s (WBC) Clean Boxing Program, in which enrollment for all WBC-ranked boxers is supposed to be the standard. “As of (Saturday), VADA has not received paperwork on Mr. Tyson Fury’s enrollment in the WBC’s CBP,” Dr. Margaret Goodman, founder and president of VADA told BoxingInsider.com over the weekend. BoxingInsider.com contacted the WBC in mid-September on the subject when first learning of the development, but the inquiry was apparently lost in the shuffle as the Mexico-based sanctioning body was preparing for its annual convention which was held last week in Kiev, Ukraine. Several topics were addressed during the convention, including a fresh batch of mandatory title fights and eliminators ordered which managed to generate the most headlines regarding anything WBC-related. Not quite as pronounced was the concern of the WBC looking to subsidize the cost that comes with the Clean Boxing Program. Even with sponsorship, the sanctioning body is still coming out-of-pocket for a reported $75,000 per year on tests. A question that wasn’t answered—neither in the seven weeks since Wilder (40-0, 39KOs) and Fury (27-0, 19KOs) publicly revealed their plans to collide later this year, nor in the four months since Fury first re-entered the WBC’s Top 15 heavyweight rankings—was when the unbeaten former heavyweight titlist from England would enroll in the program. At least until they were finally cornered on the subject. Fury returned to the sport this past June, following a forced 31-month hiatus due to alcohol and drug abuse as well as mental health issues. The meltdown came on the heels of his career-best win, a 12-round landslide decision over Wladimir Klitschko in Nov. ’15 to win the lineal heavyweight championship, to which he still claims ownership. The Irish Traveller never made a single defense, vacating one belt early when agreeing to a mandated rematch with Klithschko and then being stripped of all of his titles after the aforementioned sequel never came to pass. Fury twice postponed, first claiming an injury ahead of their planned July ’16 meet and then after getting popped by VADA for cocaine in his system during random testing ahead of their rescheduled fall ’16 battle. Also in that period came an agreed-upon two year ban as issued by the United Kingdom Anti-Doping (UKAD), who claimed that Nandrolone was found in tests surrounding Fury’s win over Christian Hammer in Feb. ’15. The matter wasn’t discovered until later that year, but didn’t cause a delay in Fury’s title challenge versus Klitschko (other than Klitschko’s own four-week postponement due to an alleged injury sustained in training camp). Nor was the issue even readdressed until a hearing in June ’16, at which point UKAD charged Fury and his cousin, heavyweight contender Hughie Fury (who was popped for the same substance in March ’15) with presence of a prohibited substance. Fury was finally cleared to fight in 2018, returning in June with a 4th round stoppage of Sefer Seferi. The victory was rewarded by the WBC with his being reinstated in their rankings, issued a #7 position in their heavyweight Top 15 pending his enrollment in their Clean Boxing Program. The organization has dropped several fighters for not agreeing to the program, but in the case of Fury merely kept moving the line in the sand. Such concerns weren’t raised by any involved parties by the time he faced Francesco Pianeta this past August. 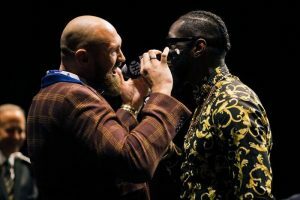 Fury won a pedestrian 10-round decision, with the fight—largely forgettable on its own—overshadowed his post-fight in-ring “confrontation” with Wilder, who was ringside in Belfast to scout his then-potential future opponent. The status went from potential to confirmed the moment Fury was declared the winner, as the two shared mostly playful insults during the on-air post-fight interview. The fact that it has taken seven weeks (and counting) for event handlers to file the necessary paperwork with VADA contradicts claims made by Fury of his enrollment status. Perhaps more revealing was his spray-painted verbal response, naming every drug testing organization that came to mind. It also comes in stark contrast to Wilder’s longtime demands for his bouts to portray the image of a clean sport. From the time he outpointed Bermane Stiverne to win the WBC strap in Jan. ’15, Wilder has been a vocal advocate for stricter drug testing protocol. Each of his seven title defenses have come with random testing existing far beyond the limited means in which most commission tests are conducted. The unbeaten heavyweight from Alabama became something of a drug-testing jinx, with three of his scheduled challengers all busted by VADA for evidence of banned substances in their respective systems. Most notable among the lot was 2004 Olympic Gold medalist and former secondary titlist Alexander Povetkin coming up dirty for trace amounts of Meldonium, which ultimately killed their planned May ’16 title defense in Moscow, Russia. Wilder would settle for a voluntary title defense, beating Chris Arreola that July in Birmingham, Alabama, less than an hour from his Tuscaloosa hometown. He’d return there for a Feb. ’17 title defense against Gerald Washington, who was brought in as a replacement for Andrzej Warwzyk, who was popped by VADA mere days after the fight was formally announced. The one opponent who was caught but would get a second chance was Luis Ortiz, who attributed banned diuretics found in his system last September to prescription blood pressure medication. The then-unbeaten southpaw from Miami by way of Cuba was eventually cleared, but forced to sit out of their planned clash last November as punishment for failing to disclose the medication when he first filed paperwork with VADA. Ortiz would get his chance this past March, pushing Wilder to the brink before eventually succumbing in the 10th round of their title fight thriller. 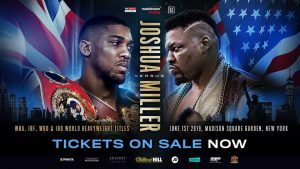 From there, Wilder has done his best to bring to light a clash with divisional rival and unbeaten, unified heavyweight titlist Anthony Joshua. Once it became clear that such a fight wouldn’t materialize in 2018—or if ever at all, the 6’7” heavyweight sought the next biggest event, which led to his team securing a deal with Fury. What’s still left to do, is secure drug testing to ensure the biggest stateside heavyweight title fight this decade is, in fact, a clean event. Wilder continues to do his part, but that hardly covers all the bases. With less than eight weeks to go before the opening bell, the clock is ticking for such testing to even serve its full purpose.